As more and more technologies rely on batteries to power them, our motor controllers can help you address some of the key challenges associated with working with batteries as your main power source. Whether it’s a compact, lightweight custom design that you require to make your product work or a range of important safety protections, we can help. 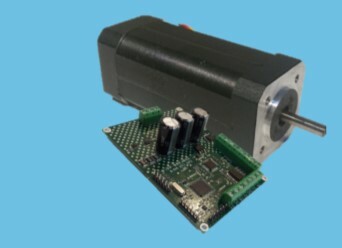 Our ZDBLDC and ZDBLDC-M brushless DC motor controllers are widely used in battery powered applications and, in conjunction with the option of customising or modifying the hardware, we’re confident that, whatever your requirements we can help. There are quite a few more things to consider when using batteries as your main power source. Voltage fluctuation depending on the charge level in the battery, under voltage issues as well as more typical issues such as managing current draw. Add to this issues (more relevant to some applications than others) around regenerative braking and exceptional efficiency and it is fairly obvious why a cheap ‘catch all’ controller is not necessarily the best option when designing around batteries. Whatever the issue you may be most concerned about, Zikodrive Motor Controllers can help. 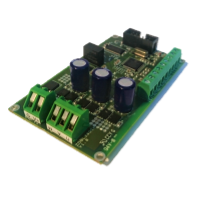 Our standard range of motor controllers is offered with a wide range of safety features and customisable options all of which are especially relevant to battery powered applications. These will ensure both effective operation and complete safety for the end user. Over current protection – prevent battery damage and controller damage. Over temperature protection – we typically include onboard over temperature protection as standard but our controllers can also take temperature inputs allowing monitoring of battery, motor and external temperature with thresholds set to your specification. Under voltage protection – one of the dangers of using batteries is what happens when they run down. With under voltage protection you can avoid motor lock or other issues. Our controllers can also offer a fault signal output so you know when the battery level is dropping. If you have any further safety features which you would like to discuss with us then please get in touch and our team will be happy to help you.